I remember when I began to wrap up my final semester of college; I was constantly being bombarded with questions regarding my post-grad plans, job leads, etc. It was extremely overwhelming because there is so much uncertainty surrounding that point in anyone’s life. One of my biggest issues wasn’t necessarily figuring out where to look for a job, it was figuring out how and when to look for a job. I had moments when I was feeling particularly eager and would submit applications only to receive polite rejections stating that the role needed to be filled immediately. What’s a soon-to-be college graduate do? 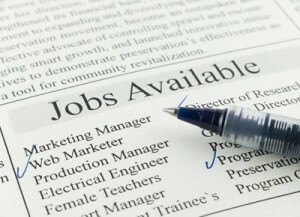 When should you actually apply for jobs? Well, to be honest, there’s no single answer. Job availabilities really depend on the company’s needs, the industry you’re planning to enter, and a little bit of luck. Some undergraduates have the luxury of being promised a job upon the completion of an internship, some undergraduates are planning to enter a field where a majority of annual hires are brought on during spring recruitment, and others sometimes just happen to have the stars aligned and get a job because a company is currently looking to fill a specific position matching their qualifications. Investigate spring recruiting efforts. A lot of larger companies hire a majority of their employees annually during spring recruiting because that’s their opportunity to find fresh, talented individuls who are eager to take on challenging roles. Submit your resume to a third party recruiter. These companies not only manage countless open positions, but if there is not an immediate match, they store your resume for future potential opportunities. Don’t immediately disregard internship opportunities. A lot of companies will offer 3-4 month long internship programs that are designed to bring on a handful of full-time interns, but pay them hourly. Although holding the title of an intern as a post-graduate is not ideal, oftentimes these programs will end with multiple full-time non-exempt job offers being made. Regularly research networking mixers. These events not only help faciliate introductions between yourself and industry leaders, they can help expedite the job hiring process. To find relevant networking mixers, try joining groups on LinkedIn, and also search for events in your area on Eventbrite.